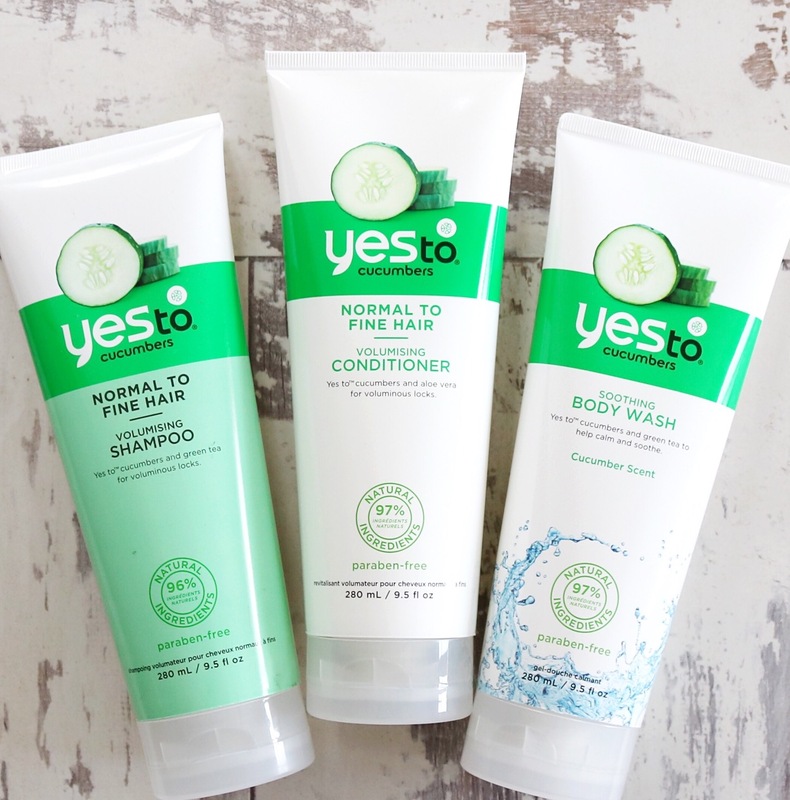 I first became aware of the 'Yes To' brand when I was in Miami last year and I couldn't help but notice their vibrant and eye catching packaging in all of the drug stores and local Walgreens. Back then it wasn't a brand that I had ever come across before in the UK but my initial impressions were so good I couldn't wait to try some of their products for myself. Wind the clock forward to now and either I have been living under a rock or 'Yes To' products have suddenly become quite popular in the UK and I have only recently became aware that they are available to purchase on the ASOS website and at Boots. I'm sure this hasn't always been the case!? Anyway, lets cut a long story short! Whilst picking up some new Autumn clothing on ASOS I decided that it was the perfect opportunity to throw some Yes To products into my trolley and finally try them out for myself. You will probably have gathered by now that I absolutely love trying out new haircare and body washes so I chose these three staple items to begin with. On the face of things their packaging is exactly the kind to draw me in - it's fresh, bold and contains images of fruits and veg which is basically what I live for! I love the fact that each collection is focused around the plant power of a particular fruit or vegetable. It's all just very organised and the colour co-ordination is completely on point. Next, the fact that Yes To products are so centred around them being natural is another tick in the box for me. I've said it before but the more natural a product the more it appeals to me these days. I like to be able to read an ingredients list and know what's in a product. All of Yes To's products have at least 95% natural ingredients and they actually state the exact percentage on the front of all of their packaging. And last but not least, they are a cruelty free brand who are certified by the leaping bunny programme. This is obviously a big factor for me and if they did test on animals I wouldn't even go near them, no matter how fancy their branding and packaging is. With regards to being vegan friendly, I initially wasn't sure if their products were vegan but I had a feeling they probably would be as they are so focused around plant based ingredients. After carrying out a little search on their website's FAQ section I emailed the company for more information and I soon received back a reply confirming that the cucumber products I had purchased are completely vegan friendly which I was really pleased to hear. I was really impressed to get such a swift and informative response back from this company which can so often not be the case when trying to obtain information of this kind. The information on their website is also really clear and upfront which any conscious shopper like me will really appreciate. I guess if I had any constructive criticism it would be for them to perhaps consider clear vegan labelling on all of their products just to make life that little bit easier for us. And if they wanted to go even better I think we would all probably agree that it would amazing if a brand like this just went completely vegan friendly. Moving onto the products themselves, I have found them to be really nice quality and effective at their jobs. I've really enjoyed using all three of these products and I would most certainly buy them all again. The cucumber range has a really lovely light and refreshing fragrance which does at a great job at giving you that all over super clean and fresh feeling. My hair completely falls within the 'normal to fine' category so this shampoo and conditioner were perfect for me and my hair definitely felt more healthy and volumised after using them. I also really enjoyed using the accompanying soothing body wash on a daily basis which lathers up really nicely on your skin and leaves you feeling all soft and smooth after using. I feel genuinely excited about the vast amount of products within the different Yes To ranges and I am already eyeing up a few more items to try out. I particularly like the look of the coconut collection which I am sure must smell incredible! Have you said 'Yes To' any of these products yet? I have seen this brand everywhere at the moment but I was unsure whether they were vegan friendly - I am so happy you have done this post because now I can indulge.... I am a sucker for good bold packaging! Their lip balms are my favourite. Think I'll have to try out their haircare. Your blog is lovely!!! I love yes to products, they work so well!! !